MINI USA is offering its fans the coolest prize around, and its ICE cold. MINI and Red Bull have teamed up for the 2012 Ice World Championship sweepstakes to offer great prizes to MINI fans! 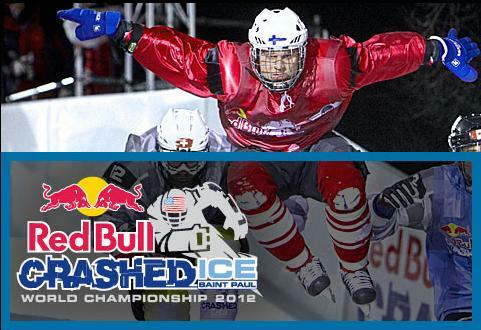 The grand prize winner gets two VIP tickets to the opening event for the 2012 Ice World Championship in Saint Paul, MN on January 14. The grand prize includes two round-trip plane tickets, hotel accommodation, meal expenses, and VIP access to the after party. The event will be loaded with top-quality talent of the biggest and baddest hockey players, downhill skiers, and speed skaters churning down the course. Traveling at speeds of up to 45 mph, this event is sure to get your blood boiling. Participants have to maneuver through jumps, rollers, hairpin turns and so much more. To be entered for the sweepstakes, visit MINI USA’s Facebook page by Monday, January 3 and get your entry in by 4:00pm EST. Best of luck! MINI is excited to announce that they will be bringing the MINI Roadster to the 2012 North American International Auto Show in Detroit in January. The MINI Roadster ushers in the newest chapter of MINI, the first-ever two-seated convertible. The new open-air MINI brings a whole new dimension to the enjoyment of driving a MINI. 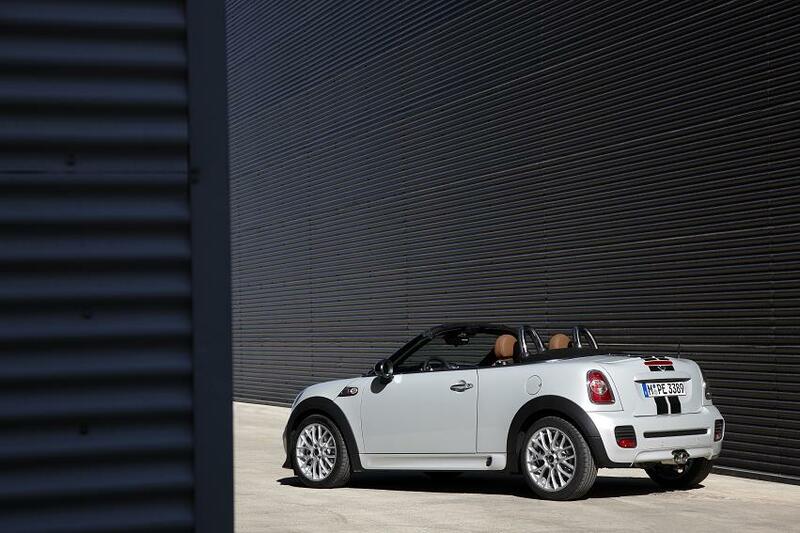 The Roadster holds all the MINI principles of a sporty MINI with a whole new experience of feeling the air all around. The Roadster is the sixth model of the MINI vehicle collection and offers a whole new spin on owning a convertible. The MINI Roadster is ready to go on the big stage and wow spectators to the show. The Roadster will be on display for visitors from January 14-22, 2012. For those making the trek to Detroit for the show, make sure to stop by MINI and experience the Roadster in-person, it’s a brand new dimension of MINI. MINI and Red Bull had a stellar year during the 2011 Art of Motion tour. The tour traveled to London in March, Yokohama in July, Sao Paulo and Detroit in August, Santorini in September, and finished in Kuwait in October. The tour is based on contestants free-running, an acrobatic display of stunts, jumps, and moves choreographed together by a contestant. The contestant is judged on how they perform their moves throughout the course. Enjoy this great video recap of the year’s events and some amazing moves! MINI has rolled out a brand new version of the MINI Connected Application for the iPhone. The update brings a brand-new Driving Excitement function. The new function displays vehicle performance data and engine output. Condition check is the first mode that will display temperature of the engine, fuel level, and the outdoor temperature. 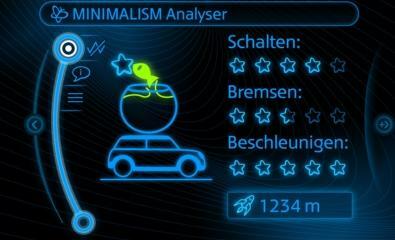 If everything is good with those factors, “Be MINI” is displayed and the MINI is ready to perform at optimum conditions. The Force Meter is another mode that analyzes acceleration and cornering forces through turns. The meter can talk to the driver about the forces being experienced mid-way through the turn. Finally, the Digital Sports Instrument mode shows engine coolant temperature, engine speed, how much horsepower is being produced as well as torque. The update also helps to provide a more stable and less restricted application. The MINI Connected system already comes loaded with access to Facebook, Twitter, RSS feeds, Google, Mission Control and much more. Download the latest update via the iTunes store on your phone or by clicking here.